First off, sorry for not being as consistent as I should be with my posts! I've found that trying to be super involved in my school and the community while being in a super intensive academic program is not leaving me a lot of room for my internet life anymore! (Good or bad, you can be the judge of that) Either way, I cannot promise that I will post every Sunday, but I will definitely try to fit in a couple of posts each month when I'm not as busy! So on the topic of not having that much time to spare, my monthly favourites actually take a lot of time to prepare and write (sometimes up to three days!). Instead, I've decided to start something new this month. Instead of a huge post with multiple favourites, I've decided to begin sharing products and other things I like spontaneously, haha. This month, I was finally able to get a hold of the top item on my wishlist. Combat boots. I found a black version of these while window shopping at Globo Shoes and immediately knew that these were the boots that I had been looking for since last fall. Unfortunately, the Globo Shoes I was at was already out of stock for the brown version, so I ended up ordering them at the store instead. I've always been super impressed with Globo Shoes' delivery system as the shoes usually arrive within 5 business days. So, how could I possibly wear these shoes non stop throughout a month with different outfits? Well, the thing that I love about these boots is that they go with everything. 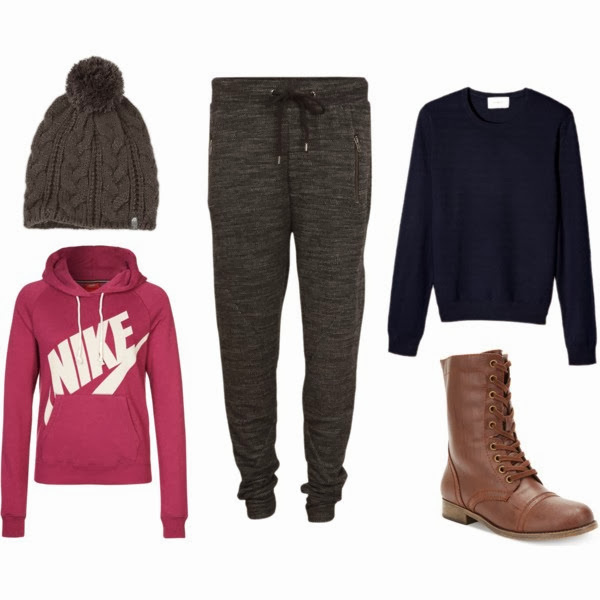 You could pair them with leggings, tights and dress, jeans and tucked sweat pants. My go-to look while wearing combat boots would be to wear a beanie, baggy sweater, black leggings and midlength socks. I find that this particular style is perfect at capturing the coziness and warmth of autumn and winter. I don't wear jeans much anymore, but when I do, I usually prefer to wear a plain top. I love how a plain black t-shirt with jeans, combat boots and gold accessories can create a super rustic and casual look. This is a much more classic and girlier look that I love going for on days where I feel super refreshed and ready to take on all the obstacles in life, haha. I find that this look even gives you a more professional and studious look while still giving off the nature of youth. Contrasting to the reason I wear these boots with a dress and tights, most of my days are spent in an endless pit of stress. I'm pretty sure that I find myself having an existential crisis 5 out of 7 days every week. There's nothing wrong with showing up to school for a test dressed in sweats. Your first priority is to be as relaxed as possible, and you know what? Everyone else will envy you when they see you showing up to school completely comfortable and pretty much ready to go right back to sleep! So there we have it! 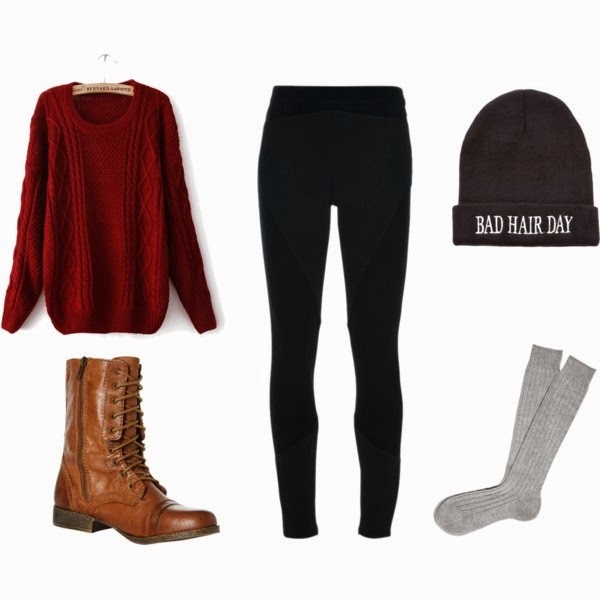 This post became a lot longer than I intended because I randomly decided to try out Polyvore midway through typing. I hope this post has convinced you that combat boots can easily be one of the staples to your shoe closet! What are your October obsessions? I really love your blog and wanted to include it in my list of nominees. Ahhhhh! Thanks so much! :) I'll definitely be accepting this award and posting it sometime this month!